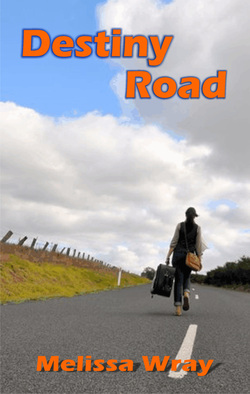 Based on the author's own life experience, Destiny Road is one young woman's coming of age tale that will have the reader utterly spellbound. emotion down-played but the strength of her characterisation softens the blow from the issues faced. The timing is perfect. You have time to catch your breath when needed without ever compromising the flow. In fact the novel has such a polished feel I was surprised that this was indeed her debut into the published world. Due to the fact that the issues are slightly mature and the emotional content often intense, I would only recommend this for the older YA bracket and up. Destiny Road is a delightful, well rounded adventure that will linger with the reader and leave you wanting more of Jessica's tale. Definitely one to add to your wish list. SELECT THE COVER TO RETURN TO THE BOOK'S PAGE.